TesseracT (we are not talking about geometry) hailing from the UK, shouldn’t need a further introduction, since they are one of the bands, who had a major impact on the “djent” scene known nowadays. Influenced by the complex, polymetered song structures and polyrhythms from Meshuggah, they have developed their own very unique sound. The use of odd time signatures, polyrhythmic riffs and distorted guitar tones blended with long melodic passages and the use of clean vocals are the signature sound of TesseracT. The use of extreme vocals were limited by Daniel on the debut album called 'One', even though his trademark sound, the controlled high pitched screams are among the best out there. 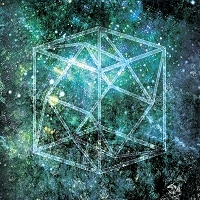 In the fall of 2010 TesseracT was signed by Century Media Records, and released the limited edition EP “Concealing Fate”. Already in March 2011 the debut album “One” was released, and short time after vocalist Daniel Tompkins decided to part his ways with TesseracT due to personal reasons. As a replacement for Daniel a new lead singer by the name of Elliot Coleman (Omnon, Zelliack, ex-Sky Eats Airplane, ex-Of Legends) was added to the line-up, which already included the members Alec Kahney and James Monteith on guitars, Jay Postones on drums and Amos Williams on the bass. With the new “upgraded” line-up TesseracT has released this EP called “Perspective”. The idea behind this EP was sown, when they were playing some live acoustic sessions previous year in New York, while touring with ”Protest the Hero”. This release includes 5 songs running approx. 23 minutes totally. Three of the songs (Perfection, April and Origin) are already featured on the debut album “One”, but are rearranged on this new release and all played with the use of acoustic tones. Track number 4 is a cover of Jeff Buckley’s ‘Dream Brother’ and the last track ‘Eden 2.0’ is a re-recorded version of ‘Eden’ with Elliot’s unique pipes replacing Daniels vocal. ‘Eden 2.0’ is 'old' style TesseracT, so no acoustic sound used on this track and it really ends the EP with a big bang. They definitely explorer new territories with this EP, and some metalheads out there will like the new direction, while others will become haters. But it showcases perfectly Elliot’s versatile, controlled and emotional vocal with the use of melodic ambient soundscapes. Though I must confess that one ingredient is missing on this EP, and that is the use of a harsh, brutal vocal or screams like it’s known from Elliot’s predecessor. Fans were divided, when Elliot became the official new lead singer of TesseracT, but let me make this clear to you. I adore him; his voice is a gift from the gods. And I can only welcome him with open arms and mind aboard the future of Tesseract. They delivered a progresseive masterpiece with 'One' and with Elliot's extraordinary vocal presentation on this EP a new chapter is being written. Hopefully later this year, we can finally feed our ears with the next release in their musical history, the second full album.